In the RIA PRO Equity Model – we bought Boeing (BA) on the initial plunge, and added positions in JPM, AAPL and PPL. However, it isn’t just the economy that is reminiscent of the 2007 landscape. The markets also reflect the same. Here are a couple of charts worth reminding you of. 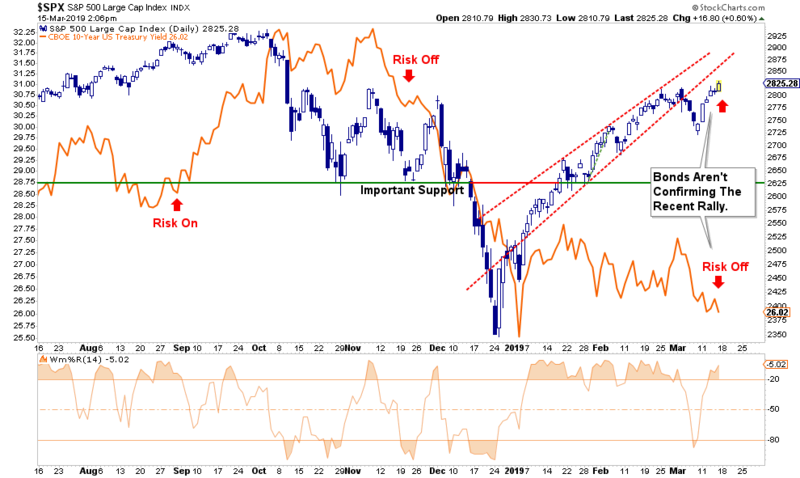 Last week, I noted the overbought condition across sectors had not been fully reversed which suggests more downward pressure on asset prices over the next week. I also noted that defensive sectors were outperforming offensive sectors of the market as well. 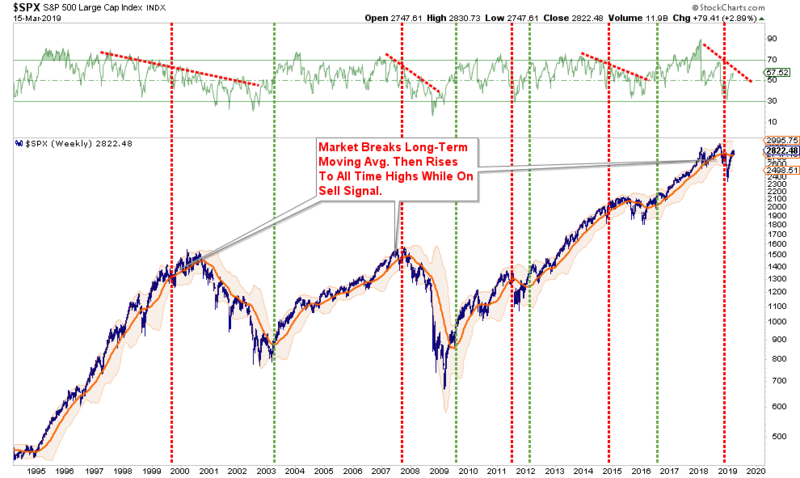 This past weeks rally, as I suggested would be the case, returned most sectors back to overbought conditions. However, it was still defensives leading the charge. Technology, Staples, Utilities, Real Estate, Healthcare – all rallied hard last week with Technology, Utilities, and Real Estate leading the charge. These sectors are GROSSLY overbought and extended. Take profits and wait for a pullback to add exposure. As noted last week, we added healthcare to portfolios. Current Positions: XLP, XLU, XLV, XLK – Stops moved from 50- to 200-dmas. Discretionary, Industrials, Materials, Energy, Financials, and Communications – While other sectors of the market have performed much better, these sectors have rallied “failed to impress.” Discretionary stocks regained their 200-dma along with Materials and Communications. Watch these weaker sectors as they are very economically sensitive. Current Positions: XLB, XLY, XLF – Stops remain at 50-dmas. The recent rally in the market is likely complete for now and more corrective/consolidation action is needed to reverse the previous overbought conditions. Small-Cap and Mid Cap – both of these markets are currently on macro-sell signals but have rallied along with the entire market complex. Both Mid and Small-caps, failed to hold above the 200-dma and are looking to retest support at the 50-dma. These two sectors are more exposed to global economic weakness than their large-cap brethren so caution is advised. Take profits and reduce weightings on any rally next week until the backdrop begins to improve. As noted last week, Emerging Markets pulled back to its 200-dma after breaking above that resistance. We did add 1/2 position in EEM to portfolios three weeks ago understanding that in the short-term emerging markets were extremely overbought and likely to correct a bit. That corrective action is occurring with some of the overbought condition being reduced. With the 50-dma rapidly approaching a cross above the 200-dma, we will add to our position on a breakout of this consolidation process we have been in as of later. Major International & Total International shares are extremely overbought but DID finally break above their respective 200-dma’s on hope the worst of the global economic slowdown is now behind them. Keep stops tight on existing positions, but no rush here to add new exposure. However, a pullback to support, and/or a bullish crossover of the 50-dma, and we will add exposure to our portfolios. Gold – We have been discussing a pullback in Gold to add exposure to portfolios. The overbought condition in gold was reversed over the last week as gold broke its 50-dma. The bullish backdrop remains currently, and gold needs to rally next week back above the 50-dma. Unfortunately, the reversal in bonds was so rapid last week we did not get to increase our exposure as we wanted. However, the recent action is bullish and a test of the 50-dma that holds will likely be a good opportunity to take on trading positions. We remain fully allocated to bonds so the performance pick up was welcome. High Yield Bonds, representative of the “risk on” chase for the markets, declined with the market last week. However, with the announcement from the ECB of no rate hikes and more stimulus, international bonds soared higher last week. If you are long international bonds take profits now and rebalance risk back to normal portfolio weights. The current levels are not sustainable and there will be a price decline which will offer a better entry opportunity soon. The rally we expected occurred and not only did the market break back above the 200-dma it also hurdled over 2800 as well. This puts all-time highs in focus for the markets currently as long as they continue to ignore the economic data. As we said last week, the pullback to short-term oversold conditions allowed us to take some actions in portfolios. New clients: We added core positions AND our fixed income holdings to new portfolios. 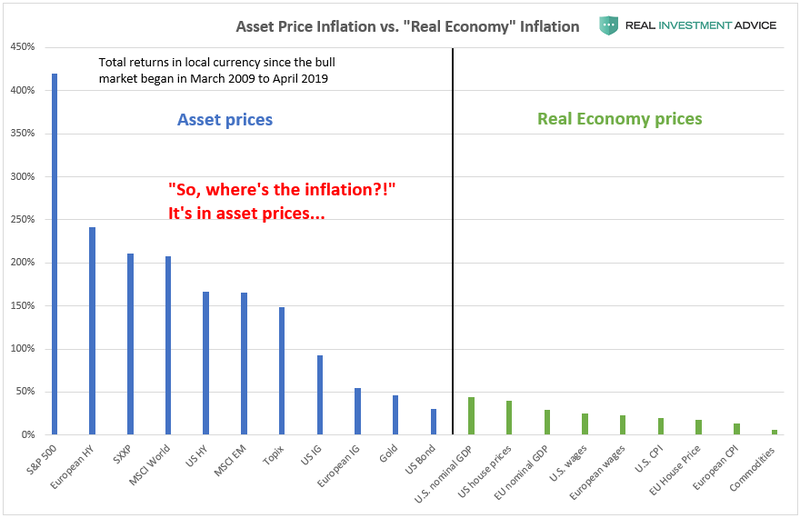 Since our “core” positions are our long-term holds for inflation adjustments to income production we can add without too much concern. Equity Model: The recent rout in Healthcare, Materials, and Discretionary give us an opportunity to increase holdings in some of our longer-term holdings. We also added holdings in BA, JPM, AAPL and PPL. ETF Model: Adding XLV, 1/2 position in XLE, and filled out our holdings of IAU.